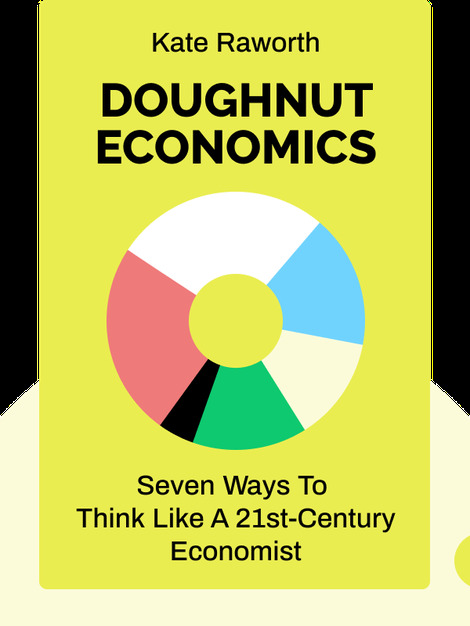 Doughnut Economics (2017) is a call to arms for a fresh approach to economics. As inequality soars and environmental crisis looms, the book’s central question has never seemed more relevant. How can we build a just economic system that allows us to thrive while preserving the planet? 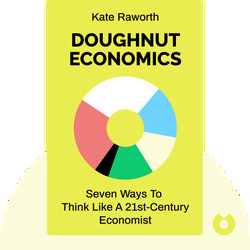 A good place to start, Kate Raworth suggests, is to do away with the old myths that have shaped economic thinking for so long. Zeroing in on the doughnut-shaped “sweet spot” in which our needs can be sustainably met, this is a thought-provoking read which might just help save the world. Kate Raworth is a senior visiting research associate at the University of Oxford’s Environmental Change Institute. A self-declared renegade in the economics profession, Raworth’s work is focused on social, economic and environmental sustainability in the twenty-first century. Named by the Guardian newspaper as one of the top ten tweeters in her field, she has presented her ideas to everyone from the UN General Assembly to the Occupy movement.